Ladies, I am done accepting the fact that we need to have bad hair days. I can’t do it anymore! I’m over feeling like I look like a total train wreck because I can’t get my hair to function. Does this sound over dramatic? Probably, but I know there are mamas out there and women that are victims of #badhairdays. Let’s pull together and say enough is enough! If you’re ready to say goodbye to bad hair days, then sit back, relax, and enjoy the pot of gold you’re about to read. 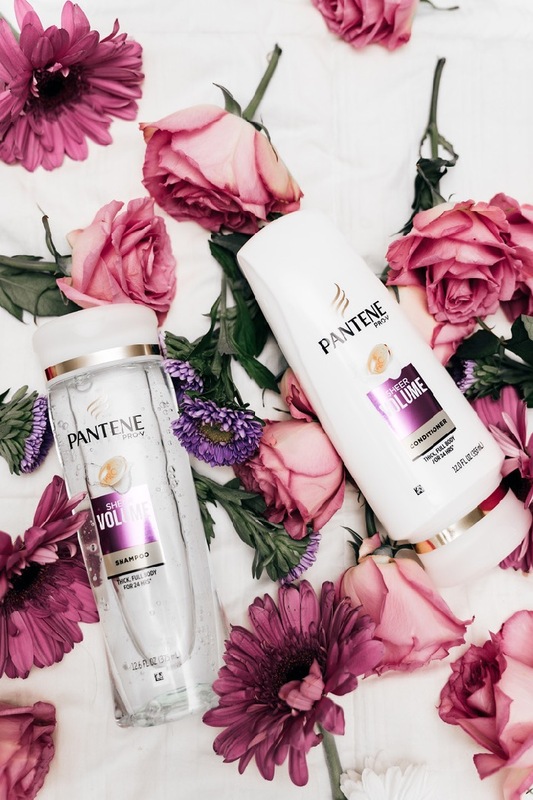 I’ve taken on the Pantene 14-day Hair Challenge and I can easily say, I will NEVER experience a bad hair day ever again. 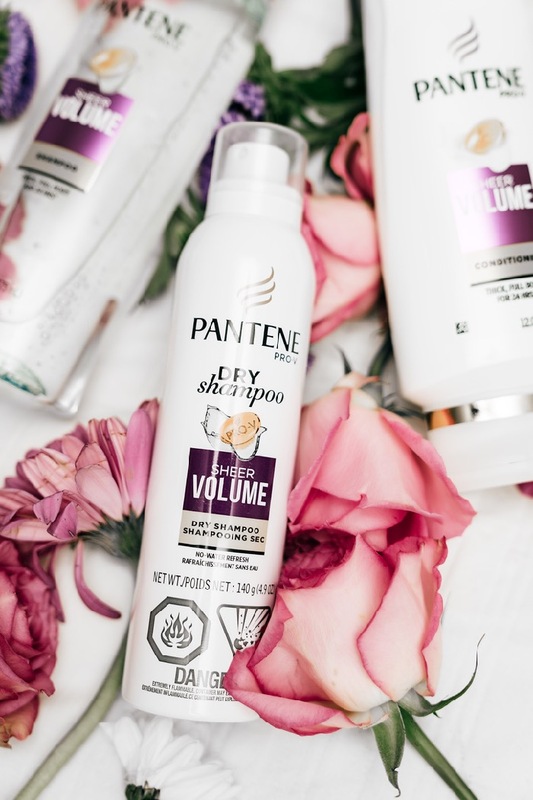 Thanks to the Pantene Sheer Volume collection, I’m feeling like a new woman! Did you know that Yale University recently did a study and only 1 out of 10 women said they experience good hair days on the regular? Hello, this is totally tragic. As women, we already have a list as long as a book of things we need to accomplish throughout our days. 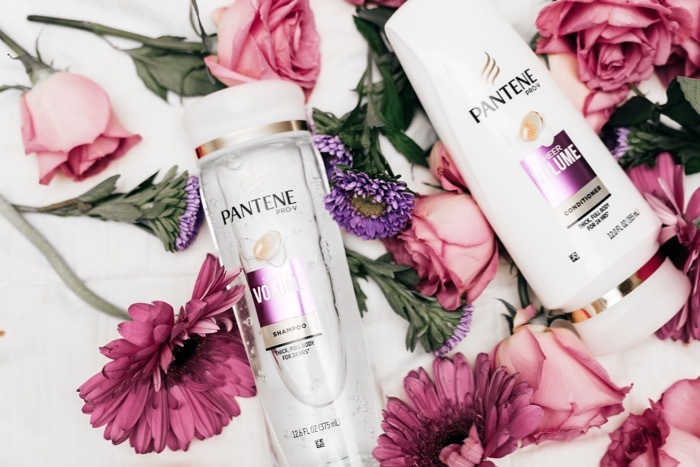 Here’s why I decided to take the 14-day Pantene Hair Challenge. I wanted results that I could see in my hair. I wasn’t looking for a quick fix. I wanted and have received long term results which I am loving! Are you interested yet? Let me dive into the specifics of the products I used, how I maintained my hair after using the product and the transformation my hair has made over the last 14 days. You’re in for a treat! 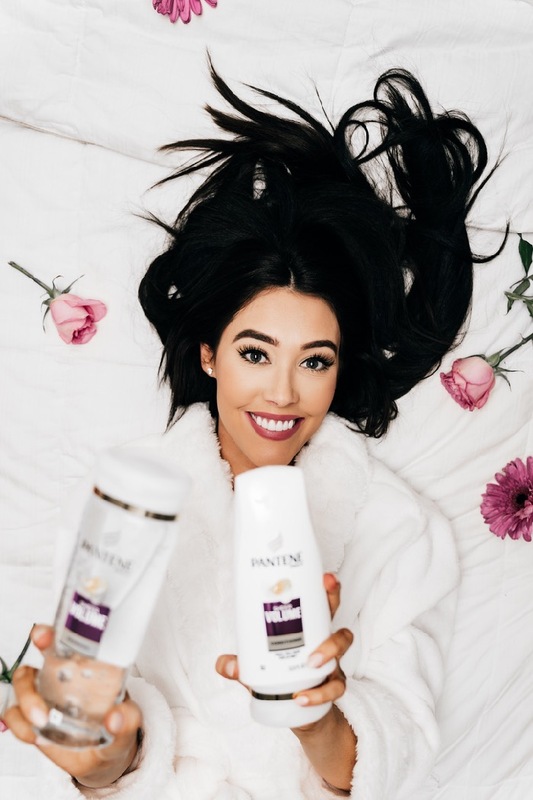 Since I was a teenager, I’ve used Pantene – so I didn’t need convincing with using their products for this challenge. They also have all different products for different hair types. They work very hard at catering to all hair care needs and I am so grateful. I chose to use the Sheer volume shampoo and conditioner to begin my 14-day Challenge. The shampoo has HPM Cellulose, what is that? Great question! 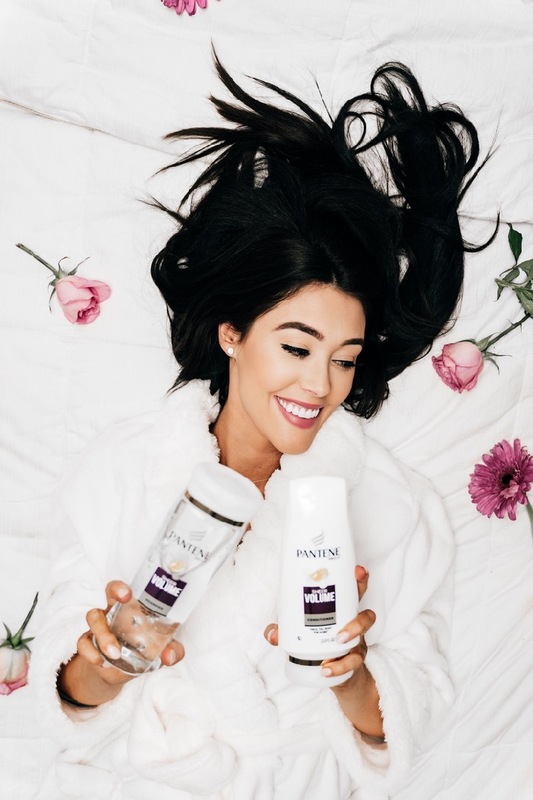 It’s a magical polymer (bundle of molecules) designed for fine hair and balances it out perfectly keeping your hair clean and prepped for volume. The shampoo totally made my hair feel squeaky clean and did not weigh it down. The conditioner not only smells heavenly but made my hair feel so moisturized and still lightweight. My results were this: Strong, full, perfectly voluminous hair. I have very thick hair, so finding products that are able to tame it AND add volume has been amazing. This is way too cute! 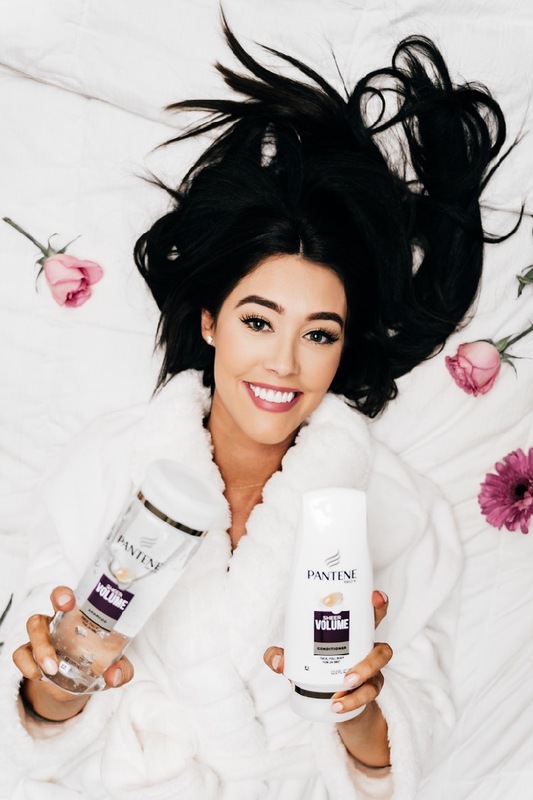 I always use Pantene when I wash my hair!